Remember how we were totally relieved yesterday that Meriam Yehya Ibrahim, the Sudancese woman once sentenced to death for refusing to renounce her Christian faith, was released from prison? Well, turns out she was re-arrested while she and her U.S. citizen husband and two children were trying to leave for the United States. While we can all be grateful we don’t live under the tyranny of the Sudanese government, things are going to be heating up in the United States—meteorologically speaking. 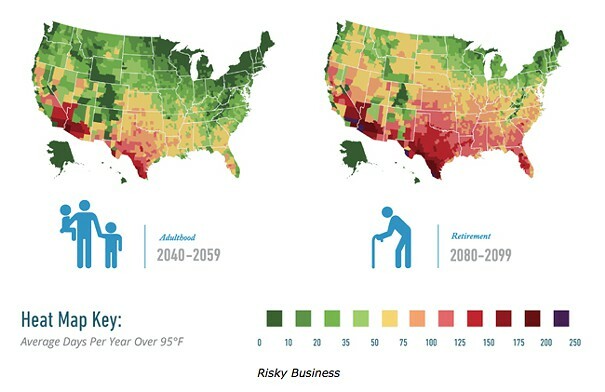 According to a new report from the Rhodium Group, if you’re still alive and living in Bend in 2080, you’ll experience about 50 days a year of 95-degree temps Based on the projected temperatures, we’re guessing Texas will be devoid of human life by then. As an aside to all the LGBT Pride stuff—are you familiar with the invention of heterosexuality? If you identify as “heterosexual,” you can thank Austro-Hungarian journalist Károly Mária Kertbeny, who invented the term (along with “homosexual”) in the mid 1800s in an attempt to illustrate that they were equal, if different, ways of getting down. On a related note: Those children of the future, the ones sweating out their sins thanks to global warming, are increasingly likely to live with their parents as adults. But hey, at least they should be able to help pay that air-conditioning bill.